I Eat a GIANT SNACK SPACESHIP! Mega snack haul!! 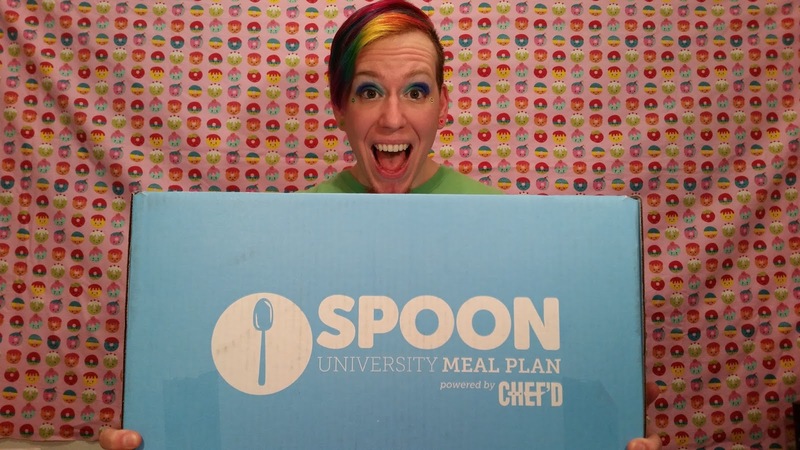 Flavor: There are literally over a dozen snacks in this box! HOLY CRAP DO YOU SEE THIS GIANT BLUE BOX?? Inside of this giant blue box is a giant silver spaceship bag FULL of snacks!! So many snacks that I had to turn it into two videos! Watch both below to see what mysteries this giant box holds!! Welcome to my new channel!! Please be sure to unsubscribe from QUERD and subscribe to my new channel to get all of my latest videos. QUERD and I have parted ways. Please see my first Snack Plate video for more details on that. More importantly, though, I ATE EASTER SNACKS! I also got a guest cohost. 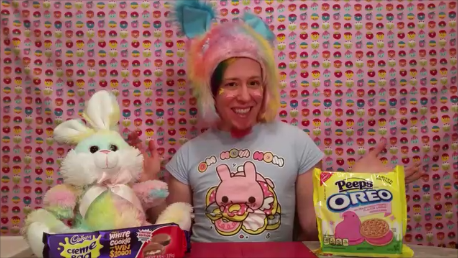 Check out the video below to see what I think of the new Cadbury Creme Egg cookies and Peeps flavored Oreos. Did you try any of this? Let me know what you think! Flavor: Mixed bag - garlic wasn't very flavorful but the lechon manok was very savory, salty, and addicting! People in my past have often made fun of me for my love of Corn Nuts. I'm a bit scarred by it and now rarely mention them and never dare to eat them around others. It's tragic! I know they can have a strong smell and they're very crunchy, but so help me, those little nuggets of deliciousness are just too good to resist! 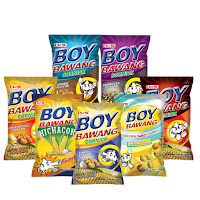 Today's review isn't Corn Nuts, but I grabbed these Boy Bawang corn snacks the other day hoping that they would be similar, just with new and exciting flavors, like lechon manok, or roasted chicken. How did they stack up? Well...I tried the garlic first and it wasn't awesome, but it wasn't terrible. It just didn't really taste like garlic, despite smelling like a vampire's worst nightmare! Very weird...I still don't quite understand how that works. The lechon manok flavor, however, was freaking DEEEELISH! So addicting! I couldn't stop eating them. How do they compare to good ol' American Corn Nuts, though? I think they're better for one main reason: they're slightly less crunchy and don't make your teeth feel like they're about to crack and fall out!! Awesome!! 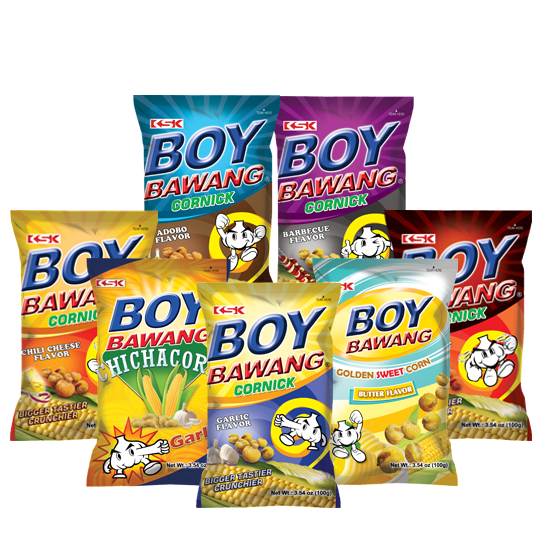 Thumbs up for Boy Bawang! I'm looking forward to trying more flavors in future reviews! 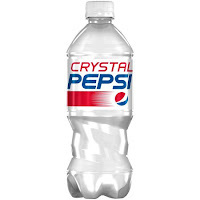 I was about ten years old when Crystal Pepsi was first introduced. I remember it very clearly (oooh, pun intended? I don't even know! ): my mom and I were at Castleton Mall in Indianapolis, where I grew up, and in the center of the mall in front of Lazarus, they had a display set up. Each person was allowed to go up to a special vending machine, push the button, and receive one FREE can of Crystal Pepsi! It was so awesome! As you know, any time you get to push a button when you're a kid makes the experience, like, twenty times better than it already was. 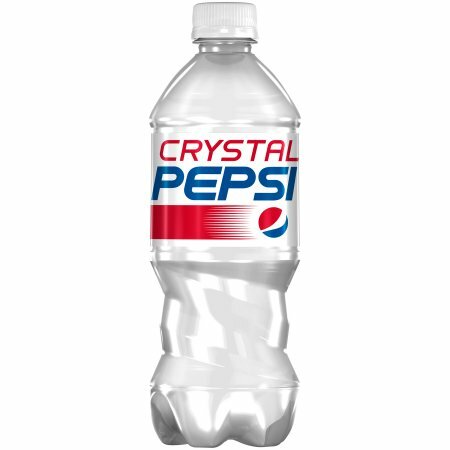 Great times for adult me, though, because Crystal Pepsi came back!!! Or is it as good as I remembered...? Watch the video to see my review! So...maybe it was better when I was a kid. However, much like the Swedish Fish Oreos, my sweets-loving sweetheart really loved it still! They were more than happy to drink the rest of my bottle. It's all yours, my love. Yuck! Boulder Canyon Backyard BBQ Chip Extravaganza! Flavor: A complete cookout but in potato chip form! What??!! Obviously, I absolutely CANNOT resist a weird-flavored chip, and Boulder Canyon's seasonal weirdness always is at the top of my list! They aren't always the best, but I think with each passing year, even if I don't like the flavors themselves, they are getting more and more true to what they are trying to taste like. Today, I tried the summer Backyard BBQ set, which has Grilled Brats, Sweet Corn, and Peach Cobbler flavors. Fun in the summer sun time!!! Ultimately, the sweet corn was kind of a bust, but the other two were good. 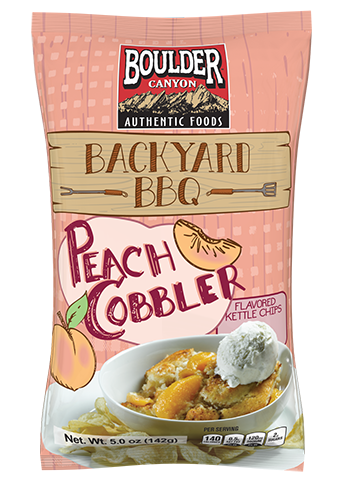 The peach cobbler definitely threw me for a loop because it tasted JUST LIKE peach cobbler!! How they managed that, I don't even want to know! Miracles of science, I'm sure. It even tasted good with some vanilla ice cream - seriously. The grilled brats didn't taste as much like what I remember brats tasting like (I haven't had one in many, many years), but they still tasted good and I definitely ate the whole bag. Flavor: Imagine the worst thing ever, then multiply that times infinity. 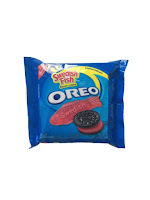 Several friends of mine alerted me to the existence of my latest snack: Swedish Fish Oreos. Now I have to add a little disclaimer here that I'm actually *not* really a fan of the chocolate cookie-style Oreos to begin with, but I knew I still had to hunt a pack of these down and try them. For science. And because I kind of like this kind of pain (as you all probably have figured out by now). So...as you can see here, I was not a fan of these. Hilariously enough, however, both my partner and my producer were both REALLY into them! I just can't comprehend why. 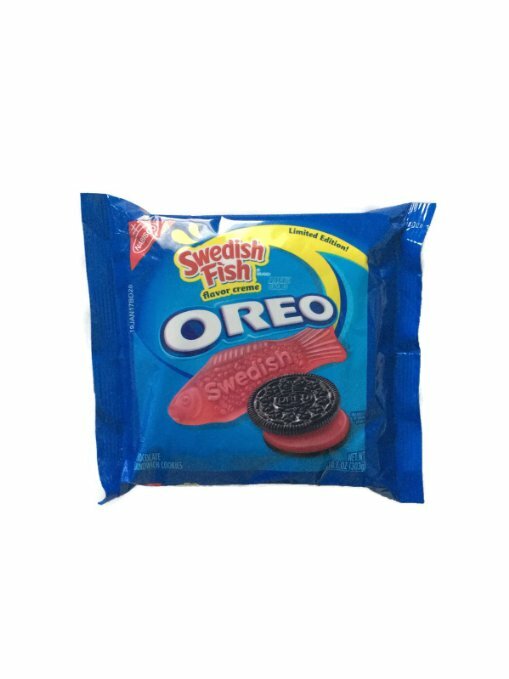 To be fair, my partner said they thought the combination of the chocolate cookie with the Swedish Fish filling was pretty awful, but the filling on its own was good because it just tastes like Swedish Fish puree. I suppose I can see where they're coming from, but...just...no. Thank you so much for all of your support and views of my video last week! 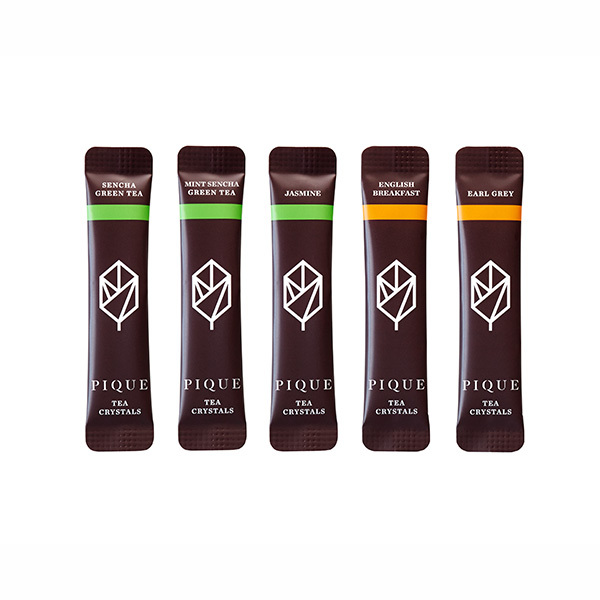 This week, I am reviewing Pique Tea organic tea crystals. I ended up getting these because I got a really great coupon and, of course, I'm a sucker for weird yuppie snacks and treats. Put organic on the label, and I am so there! I tried all five flavors that were in their variety pack. First off, I was surprised that these didn't really look so much like "crystals" as little flakes. I was expecting it to look more like brown sugar crystals or something, but looks aren't everything! I just thought the name was a bit misleading. Overall, they also did not dissolve completely in the water which looked slightly odd, but I didn't notice any kind of texture in my mouth while drinking it, so it didn't bother me at all. The green teas didn't fare so well with me. I found the senchas to be a very odd color (more brown than green), and the taste was not like any green tea I've had before...and not in a good way, unfortunately. :( It was very astringent, bitter, and just all around not good. The mint flavor I was hoping would hide the bad green tea flavor, but it just tasted like someone dumped some spearmint mouthwash in my drink :( Sad times! If you would like to see the video version of this review, here it is! Thanks for reading and thanks for watching!! I Eat Snacks: Lay's Passport to Flavor Video Review and Giveaway!! First off, though, the moment you have really been waiting for...my Lay's Passport to Flavor review! Every summer I get really stoked because Lay's always has some kind of weird flavor promotion going on. The past few years, it's been the Do Us A Flavor contest where you get to vote on a new flavor, but this year, they are featuring four globally-inspired flavors. I'm really excited because these were actually better than a lot of the Do Us A Flavor entries. The flavors were stronger and felt much more inspired. The worst flavor, by far, was the Chinese Szechuan Chicken. It smelled like the bathroom after you've eaten too much Chinese food, if you catch my drift, and the taste wasn't much better. It was minimally spicy, and just had a very heavy, meaty, soy sauce type flavor. Somehow, it was complex yet boring all at the same time...really difficult to manage that, but they did it, and it was not a good. Womp-womp. The best flavor was the Indian Tikka Masala. It was SO GOOD! It smelled like the inside of an Indian restaurant in the best way. The taste is divine. They are in the running for my favorite chip flavor ever, and if you know me at all, you should know that is a big freaking deal! There is a dish called Aloo Gobi that I get fairly often at my favorite Indian restaurant that's made of potatoes and cauliflower and these chips taste just like that. I've never actually eaten tikka masala, so I can't speak for whether it tastes just like that, but it doesn't matter, because these are so, so, so good! The Brazilian Picanha chips were also pretty tasty, although not quite as much as the masala. These are supposed to taste like steak and chimichurri, and they didn't quite nail it, but they got pretty darn close. The steak flavor is pretty incredible - you can definitely taste the smoky meat flavor throughout the whole bite, but the chimichurri is a little less potent. I would have loved for these to have more of the herbal, sour, and spicy flavors of chimichurri to come through more. Finally, the Greek Tzatziki chips - these were also pretty good. Tzatziki is a Greek dip made of yogurt, cucumbers, dill, and garlic, and for these chips, the strongest flavor was by far cucumber. They tasted like Bath and Body Works cucumber melon spray, but not really in a bad way. There's a slightly sour undercurrent representing the yogurt, and at the end of the bite, you can taste the spices a little bit. Although I began apprenticing to become a Snack Master from a very, very young age, there was one type of salty snack that I actually never tried until this past year, believe it or not! That elusive snack was Funyuns. I don't really understand exactly *how* that happened, given that onion rings are one of my favorite foods. I think my mom thought they were gross and wouldn't let me have them, or something like that. Anyway, that's neither here nor there. What is here, in my hands, right now, is Funyuns Steakhouse Onion flavor. I grabbed these as a quick snack from Plaid Pantry the other day, having literally no idea what to expect. I actually don't really care for plain Funyuns for some reason; I can't quite put my finger on it, but something about them just doesn't jive with me. These ones, however, are awesome! They're basically like Cool Ranch Funyuns, if that was a thing. They are super salty and savory, and basically taste like plain Funyuns dipped in ranch sauce. Given that ranch is one of my favorite flavors, I am sooooo into these! Approved!! Have y'all heard about 365 yet? It's the new "budget" grocery chain by Whole Foods. Basically, they stock the shelves with their 365 brand products to provide less-expensive gourmet foods to people. Supposedly. I took a trip to the newest one in Lake Oswego, OR (because the rich people that live there, like, *really* need low-price gourmet foods) to see what all the hubbub was about and, of course, to check out the snacks. I was super underwhelmed! I got a couple of deals on produce, kind of, but the snack selection was sad as all getout and the prices were comparable to a regular Whole Foods. Not worth making a special trip, that's for sure! However, we all know I can't leave a grocery store without purchasing at least one new snack, so I grabbed a bag of Halfpops . I'd been eyeing these for awhile - they're half-popped popcorn kernels with flavors like butter and sea salt, truffle oil, cheddar, and according to the Halfpops website, some more exciting flavors like dill and BBQ. The selection was slim at 365, so I just grabbed the butter and sea salt flavor. Had they had the white cheddar though, I definitely would have gone for that one instead. These were so-so. I've had similar half-popped popcorn to this that was, honestly, a little better. The butter flavor was more oily tasting than buttery, and there was too much sea salt to butter. They are also incredibly crunchy so if you have sensitive or delicate teeth, definitely pass on these ones! The other issue I had with these is that they had not just one, but several giant blobs of powder flavoring. I accidentally ate one (cough, cough, ewwww), then checked the bag and found two more immediately. Quality control, where you at?! These are NASTY! 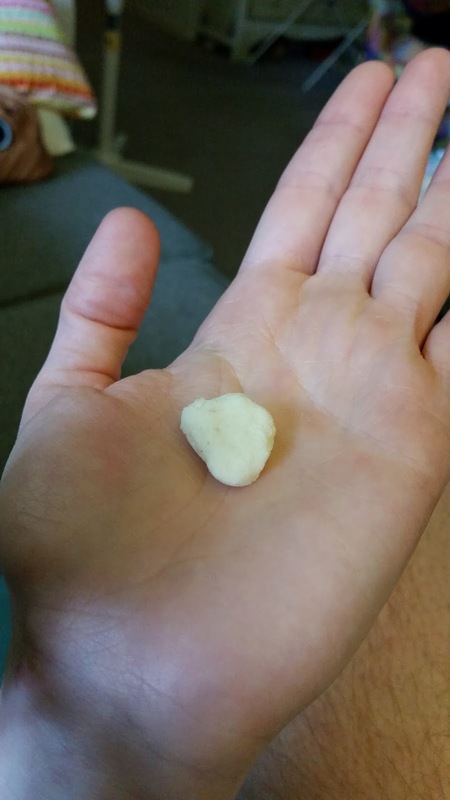 Nobody wants a nickel-sized blob of squishy salt when they are trying to eat a crunchy snack. Blerrghhh.